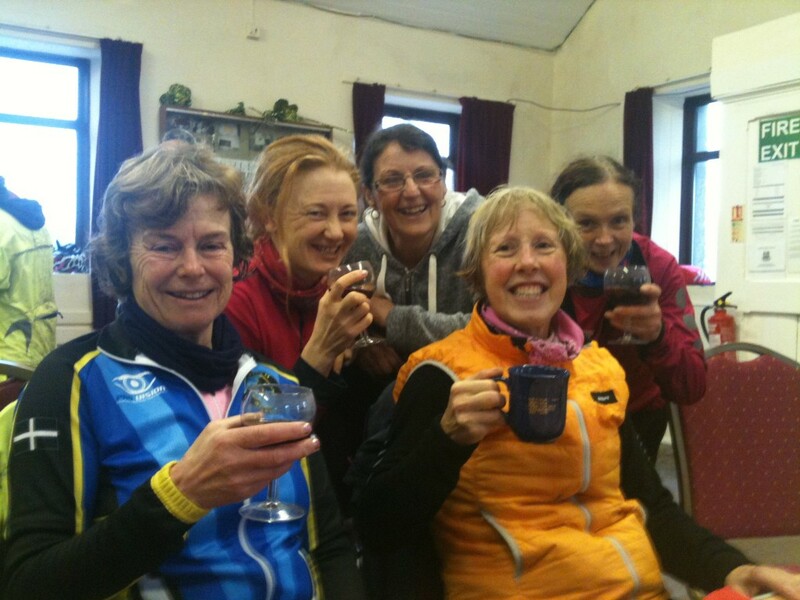 Mizzle and drizzle, and a bit of a wind as well – but what did the riders care. ‘Tis the season to be jolly and very jolly we all were too on reaching the control. Wendy has moved to a new farmouse and the control had moved too (to the surprise of some old hands who failed to check their routesheets) but the spread was as magnificent as ever. The long climb back was pleasantly wind-assisted, but some more serious rain and fog on the higher ground gave everyone a bit of a wetting – warming mulled wine and mince pies were just the job. The event attracted riders from far and wide, including the CTC group from Liskeard – see the ride report here. This entry was posted in Completed Events 2016, News and tagged Ed's Mince Pie & Mulled Wine. Bookmark the permalink.